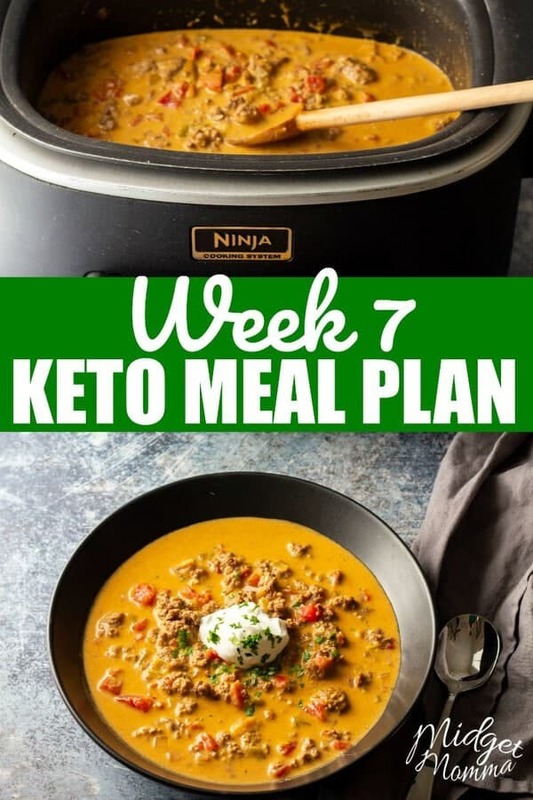 It is week 7 of our Keto Diet Meal plans! I hope these Keto diet meal plans help you with your planning. I know for me when I plan meals I am much more likely to stick with my plans and reaching my goals. I am going to warn you that this week I am doing things as easy as possible, as last week my 2 year old broke her leg and it has been crazy crazy here. I am totally in mom survival mode, as she has been in a splint since she broke it and we will finally get the hard cast tomorrow. Which I am sure is going to bring even more “fun” to the house, since she is already stir crazy with not being able to move on her own. So if this weeks meal plan is a bit on the redundant side for you check out other weeks meal plans and change things up to fit what you need. I also know that not everyone eats 3 meals a day and a snack, so totally make the meals work for you. If you don’t eat breakfast, just skip that one. Personally I have coffee for breakfast, either Keto Coffee or Bulletproof Coffee. I didn’t include desserts in the meal plan, however if you are wanting some tasty Keto Desserts we have quite a few that we love. I make them as needed, I don’t actually plan for them in my meal plan. If you need snack ideas, be sure to check out the Keto Snacks post. Are all your recipes keto? I see a banana apple bread that doesn’t appear to be? Just confused thx!